My communication skills, particularly written communication, have excelled exponentially as a result of my education at Norwich. Design your future. Specialize in one of four civil engineering disciplines. A passion for engineering is a lifelong venture, and a passion that we share here at Norwich University. Our online Master of Civil Engineering program is uniquely designed to combine current engineering principles and leadership best practices. It can help you gain greater proficiency as an engineer and enable you to be an engineering leader in your organization, community, and the nation. Learn from technically trained and active industry experts. Enhance your technical knowledge, management abilities and practical skills. Earn your degree with a curriculum aligned with recommendations from the American Society of Civil Engineers (ASCE). Start with no GMAT or GRE. Tailor your studies with four concentration options. Apply to one of two start dates per year. Help us learn more about your experience and see if you qualify for the Master of Civil Engineering program. Norwich’s online Master of Civil Engineering (MCE) program is made up of six courses, each delivered over 11 weeks in length for a total of 36 credit hours. Students master one course at a time, to create a strong foundation of knowledge and context for future topics. Demonstrate the ability to solve real-world problems through application of engineering fundamentals, mathematics, natural and social sciences, humanities, and technology. Apply crucial leadership skills and leverage personal expertise to effectively lead a team of engineers or establish their own business. Work professionally in team environments to design and construct both structural and environmental systems. Each concentration offers a set of fundamental courses. Fundamental courses are designed for students who do not meet all the admission requirements. Assessments are conducted on a case-by-case basis. Please speak with your admissions advisor to learn more. A one-page curriculum map outlining the courses by concentration can be downloaded for your use. Students begin the program by taking the following two courses and complete the program with a capstone project. This course covers first- and second-order differential equations, basic matrix algebra with an emphasis on solving systems of equations and understanding eigenvalues and eigenvectors, numerical techniques for solving both differential and algebraic equations, and an introduction to partial differential equations. You will explore basic concepts in probability and statistics, random variables, hypothesis testing, confidence intervals, and correlation along with the least squares line. In addition to manual problem solving, students will also use software tools. Civil engineering projects have always had social, economic, and environmental impacts. The capstone design project requires you to anticipate the social, political, economic, and environmental impacts of civil engineering projects prior to project implementation. As the engineer in a leadership position, you will direct a project from conception to completion. This includes the preparation of a comprehensive project business plan that will include project goals, political hurdles, anticipated revenues and expenses, marketing, facility design, and other issues related to the design of a major civil engineering project. Designed to reinforce the fundamentals of structural engineering and engineering mechanics, students examine the design of steel, timber structures, and the benefits of reinforced, prestressed, and precast concrete structures. This course addresses two tracks of analysis. You will investigate static analysis using advanced classical methods and matrix methods, the cornerstone of the finite element method. You will also explore dynamic analysis using both classical and matrix approaches for single and multiple degree of freedom systems. Analysis issues related to design codes will be addressed for both static and dynamic conditions, and the use of commercially available software will be introduced. This course explores advanced structural design issues in the areas of both steel and timber. Using the latest provisions from the American Institute of Steel Construction and the National Design Specification for Wood Construction, the course covers the design and behavior of 2-D and 3-D framing and framing members and connections under various loading conditions, including wind and seismic, as well as strength and serviceability issues. This course focuses on advanced topics in reinforced concrete design and introduces prestressed/precast concrete using the provisions of the American Concrete Institute. You will study beams, slabs, columns, deflections, analysis and design of prestressed members, loss calculations, and use of standard precast members, as well as design and detailing for seismic loads. The course will devote time to formulating proposals for students’ upcoming capstone design project in the final course of the program. Examine the fundamentals of environmental and water resource engineering with this concentration. Explore the physicochemical and biological processes for water and wastewater treatment and study key aspects of geographic information systems (GIS) and geo-environmental engineering. This course will cover basic physical, chemical, and biological concepts, reactor kinetics, water and wastewater qualities and quantities, and physical, chemical, and biological unit processes. An emphasis will be placed on design of individual unit processes and integration of unit processes into treatment trains capable of meeting treatment objectives. This course will examine stormwater management issues from both flood control and water quality points of view as they relate to land development, urbanization, and watershed hydrology. Topics include rainfall-runoff relationships (including statistical analysis), channel and basin routing, stormwater treatment, low-impact development, best management practices, and wetland utilization and benefit/cost ratio analysis. Geographic Information Systems software will be introduced and used to examine and analyze decision making processes involved with the stormwater management components of the course. This course approaches the field of geoenvironmental engineering from two points of view: groundwater flow and contaminant transport issues and the principles related to solid waste disposal and containment. The groundwater portion of the course focuses on aquifer properties, principles of groundwater flow, flow into wells, soil moisture and groundwater recharge, regional groundwater flow, and the advection, diffusion, and attenuation of groundwater contaminants. The solid waste portion of the course focuses on landfill site selection, design, and construction. You will explore material properties and engineering design of geosynthetic components, including geomembranes, geotextiles, geocomposites, and geosynthetic clay liners, and methods to estimate and design landfill leachate quantities and gas generation. Time will be devoted to formulating proposals for students’ upcoming capstone design project in the final course of the program. Build your business management and leadership skills from a civil engineering perspective with this concentration. Gain the expertise necessary to lead a team of engineers and manage every aspect of an engineering business. This course develops a base-level competency in a host of project management software products. You will gain an understanding of the strategic importance of integrating IT across all aspects of a project using the latest virtual design and construction software programs. One of the most controversial issues in a project is the understanding and allocation of risk. This course addresses the risk characteristics of various contractual forms and the roles insurance and surety play in the AEC arena. The emergence of new contractual forms from AIA and the ConsensusDocs require a new perspective on contracts and project organization. This course provides a strategic understanding of contract variables, from plans and specs to integrated project delivery. Every project is judged on its financial performance, and the same project can have different performance characteristics for different players. This course will enable students to address the ever-increasing complexity of the financial arena and impart skills that effective project managers need to understand the financial ramifications of decisions across all project participants. Discussion will include the opportunities and risks of traditional arrangements as well as new models such as the Special Purpose Entity (SPE) and Public Private Partnerships (PPP). Review engineering mechanics and the foundations of engineering while exploring earthquake engineering, soil mechanics, and soil stabilization. Study numerical methods for the analysis of complex geotechnical circumstances. Intermediate Soil Mechanics focuses on general principles of soil mechanics and their applications, including soil structure, fluid flow through porous media, shear strength, and primary and secondary consolidation. The foundation engineering portion of the course covers analysis of shallow and deep foundations, including bearing capacity and settlement of footings, rafts, drilled piers, and piles. Earthquake engineering covers evaluation of geotechnical earthquake hazards and mitigation, plate tectonics, seismicity, wave propagation, characterization of ground motions, theory of vibrations, effect of local soil conditions on ground response, development of design ground motions, liquefaction, dynamic lateral earth pressures, slope stability and deformation, and earthquake design codes. The soil stabilization portion of the course focuses on the application of mineralogical and physicochemical principles to soil stabilization problems and stabilization techniques for highway and foundation applications. This course surveys computer methods and applications for analysis of complex geotechnical engineering problems. You will explore finite element, finite difference and closed form solution techniques, and modeling applications. This course covers survey of techniques for assessing permeability of soils using the flexible wall apparatus, Proctor compaction and triaxial shear testing. Field visit to geotechnical project site. Prerequisite: CE553 (Numerical Methods in Geotechnical Engineering) or permission of program director. Our civil engineering program ends in a residency at the historic Norwich University campus in Vermont. During this time you will have the opportunity to meet with fellow students, faculty, and program staff in both formal classroom and informal settings. 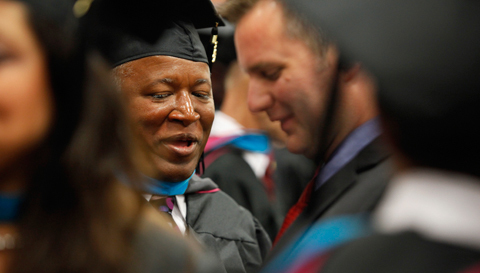 Academic recognition ceremonies and commencement cap off the week, and family and friends are encouraged to attend. Curriculum requirements are subject to change without notice. This course is a fast-paced review of fundamental techniques covered in undergraduate-level calculus courses as they apply to engineering analysis and design. The class will prepare you for the environmental/water resources engineering and structural engineering tracks of the Master of Civil Engineering program. Enrollment is open only to conditionally accepted students in the engineering graduate programs, or with permission of the program director. This course presents a review of engineering mechanics fundamentals from the fields of statics, dynamics, and mechanics of materials. You will study free body diagrams, force systems, equilibrium, geometric properties, kinematics, kinetics, and stress and strain. Upon successful completion of this course, three post baccalaureate credits will be awarded. In this course, you will review the basic concepts of structural engineering that form the required background for later courses. Discussion will include types of structures, construction materials, structural design, and safety issues. You will also become familiar with a number of typical structural design calculation methods. Upon successful completion of this course, six post baccalaureate credits will be awarded. This course presents a review of fluid mechanics and hydraulics fundamentals, including pipe flow and networks, open channel flow, and measurement techniques for fluids. Upon successful completion of this course, three post baccalaureate credits will be awarded. This introduction to the environmental engineering field will prepare you for the environmental engineering sequence of the Master of Civil Engineering program. You will review the basic concepts of environmental and water resources engineering that form the required background for later courses, including environmental chemistry, ecology, biology, microbiology, geology, and soil science. Upon successful completion of this course, 6 Post Baccalaureate Credits will be awarded. This seminar presents learning in economics, management, and marketing and operations management from the perspective of a business manager. Students focus on the economic framework for business decision-making, learning the importance of and gaining an ability to assess market conditions as the context for all business strategy development and implementation. Management’s ability to plan for and execute advantageous a strategy to achieve organization objectives through efficient and effective allocation of its human, capital and intellectual resources are discussed. 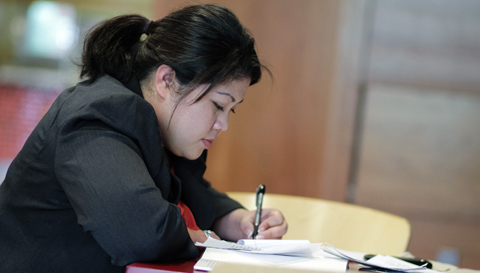 Students learn theory and skills for best practices in the marketing and operations management of products and services. This seminar concentrates on the learning and demonstration of competency in the accounting process, understanding the accounting equation, the basics of double-entry bookkeeping the income statement, the balance sheet and the statement of cash flow statement. Learning how these statements effect the calculation of financial ratios as tests of enterprise profitability, asset utilization, risk and liquidity is required. This course provides an introduction to the engineering properties of soils, soil compression, and shear strength. The foundation engineering portion of the class covers determination of bearing capacity and settlement characteristics of shallow and deep foundations, design and evaluation of earth slopes, and earth retaining structures. Upon successful completion of this course, six post baccalaureate credits will be awarded. Civil engineering requires a high level of expertise in a variety of topics, including construction design, operation, maintenance, and federal, state, and local compliance laws. That’s why careers associated with this degree are well-compensated. According to the U.S. Bureau of Labor Statistics, civil engineers earn an average salary of $83,540. The highest 10% earn more than $132,880 per year. The Norwich Master of Civil Engineering program helps equip professionals working in civil engineering or related fields with the technical and management skills needed to advance into leadership roles or to run their own companies. Giant Equatorial Construction Co. Ltd.
Read more about our Master of Civil Engineering student outcomes. *Source: Norwich University Master of Civil Engineering Graduate Survey, fielded March 2016. MCE alumnus promotes experiential and service learning; nears completion of doctorate. Elik Livay named senior associate at Gannett Fleming. Faculty member shares insight on LEED standards with Federal News Radio. MCE alumnus receives grant approval for major research. 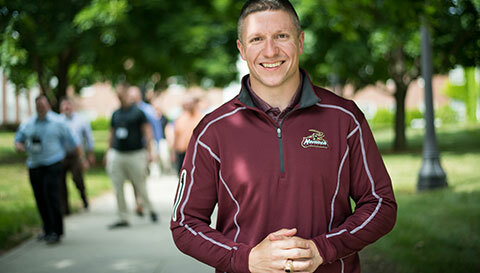 Part of what makes the online Master of Civil Engineering program at Norwich University a great choice for engineering professionals is our dedicated faculty and staff members. Our program is taught by accomplished faculty members with real-world and academic experience in structural, geotechnical, environmental, and construction engineering. Each are highly regarded for their professionalism and dedication, and have extensive hands-on experience, as well as advanced degrees in their fields. Our staff members provide additional support from day one to graduation. Tom Descoteaux, currently a professor of civil and environmental engineering at Norwich University, earned his PhD in civil engineering from the University of Connecticut. Prior to joining Norwich in 2002 he spent ten years as a member of the civil engineering department at Rose-Hulman Institute of Technology. He is a registered professional engineer and a member of the American Society of Civil Engineers and the American Public Works Association. Get to know the graduates of Norwich’s online Master of Civil Engineering program. I really enjoyed the construction management aspect in my undergrad studies as well as my job. Strengthen those skills was my motivation to get my degree. My background is in biology and environmental policy and management. Broadening my knowledge to civil engineering was a great next step to opening career doors and allowing me to better apply my environmental background to real world, current projects and jobs. My father is an alumnus, NU 1966, so I have known about Norwich as long as I can recall. The reputation and quality of alumni in the engineering field is excellent!